SEOUL, Nov. 10 (Yonhap) -- Malicious code targeting cryptocurrency is increasing at an alarming rate with the rising value of virtual money, statistics showed Friday. According to Korea Internet & Security Agency (KISA), 5,366 cases of damage from ransomware were reported in the January-September period this year, up 3.7-fold from 1,438 in the same period last year. Reported instances of malicious code in the July-September period increased to 452 from 436 in the second quarter. Among them, 347 were ransomware and 44 were intended to steal personal information. 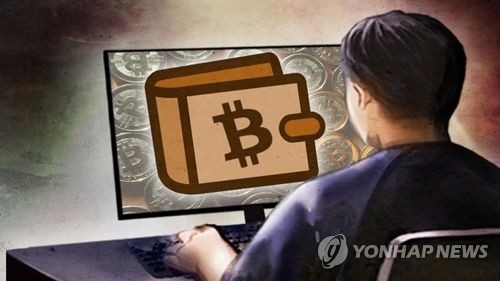 Hackers, suspected to be from North Korea, had attempted in July and August to pry into South Korean bitcoin exchanges by planting malicious code in desktops. There were also incidents in July in which a hacker manipulated passwords for digital wallets for bitcoins to steal the virtual money. Internet security authorities have warned cryptocurrency users against fake e-mails that claim to be from Korbit, one of the leading cryptocurrency exchanges in the country, to plant viruses. "Hackers are boldly spreading malicious code not only to hunt for bitcoins but to directly attack Internet sites," a KISA official said. "Such attacks are likely to continue."